I have been an indie/ local music fan since my high school days. I remember buying a 45 RPM single of a band from Ashland, Kentucky, called Menlo Park. The single was released on Wrong Planet Records in 1980 and featured “Wrong Side Of The Gun” and “My Heart.” It was a nice slice of power pop and played it dozens of times on my record player. Menlo Park formed in the Ashland/Huntington area in 1979. They took the name Menlo Park in honor of the place where Thomas Edison created the record player. Menlo Park were Mike Fitzpatrick – guitar, organ, saxophone, and vocals. Ed Fields played guitar, slide guitar, keyboards, and vocals. Gary Kesling was the drummer and did vocals. Dave Copley played bass and contributed backing vocals. The band has a Facebook page here http://www.facebook.com/pages/Menlo-Park/147110802002270 and their music is available at www.9livesrecords.com which is owned by Gary Kesling. Gary and Mike formed The Return in 1986 and Dave joined them in 1990. The Return still play live shows and record. They can be found at www.thereturnlive.com . Huntington, West Virginia had a solid music scene in the 70's and 80's. In the 80's clubs like Rock's, Rock and Roll cafe, and Rockers specialized in the hard rock music or hair metal that had become pop music. The Continental Club, First Street Station, and Bojangles were just some of the many clubs that featured live bands. Bands like Iron Horse and Fox Wagon rocked the area. 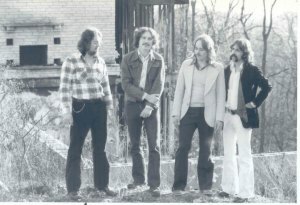 One of the first bands to rise to local prominence was Zachariah . Zachariah featured the talents of songwriter/ vocalist James Michael Murphy. Murphy has become a legend in the tri-state area. "Appalachian Lady" was recorded in 1974 and became a local classic. 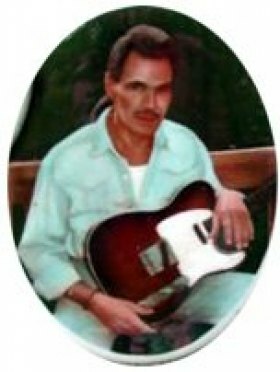 The song has been recorded by many local artists including Billy Ray Cyrus who recorded a version but never released it. Larry Pancake and The South of Heaven Band have also recorded it. Other Tri-State classics recorded by Murphy and kept alive for years in local clubs by area bands include "Ol' Cheap Wine" and "Broken Man." "I Never Thought I'd Ever Fall In Love With You" was recorded by Billy ray Cyrus and was included on "Some Gave All" which was one of the biggest selling cds ever recorded by a debut artist selling over ten million copies world-wide. Steve French who drummed for Zachariah has played with Billy Ray's band Sly Dog for several years. French also drummed and sang lead vocals for the band Cash. Cash recorded the 90's local smash CD "Shoes and Cheese" which included the local hit "Seven Years of Sundays." While Cash was country, French also performed in the 80's hair metal/ hard rock band VHF which rocked several local bars including Bojangles. Murphy died tragically in a fire in 1995. His death has turned him into a local legend. Sadly, none of his songs have reached the heights they have deserved outside of our region. But the songs still remain as testament to his undeniable songwriting talent. Zachariah was a very versatile band and they could play rock or country. A close listen to their catalogue reveals songs in various genres. Zachariah various incarnations as they played until Murphy's death. One version included another Billy Ray veteran - Corky Holbrook on bass. Drummer Scott Simms played in a 90's version and he tragically died a few years ago as well. Zachariah was a band whose sound changed with the times. If Murph had been around the last 15 years he would have found some sort of success in the ever growing country field. 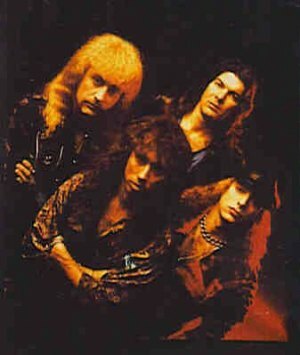 Warchylde (http://www.spirit-of-metal.com/groupe-groupe-Warchylde-l-en.html ) came out of Cleveland, Ohio in the 1980's. Led by vocalist Joey Irby they toured the East Coast. They made Huntington a regular stop and eventually a temporary home. They played extensively at Bojangles and then after Bojangles, closed they made Rockers their tri-state home. Warchylde remained as a band into the 90's but only came close to cracking the big time when Irby was the vocalist. Irby had a high pitched wail that was popular in the 80's time frame. He performed an excellent cover of Judas Priest "You Got Another Thing Comin'" and did an outstanding montage of AC/DC songs. His voice was high pitched enough to mimic Triumph or even Rush. Their 1985 release "Murder By Decibels" has become a metal collector's classic. Record hunters from all over the world hunt it and it has gone from $60 to 200 on ebay at times. "Please Don't go" and "victory" are slow cooking pop rock songs in the style of 80's Triumph. "You Can Get High On Rock N Roll" had the hooky sounds of hair metal. They explored harder terrain on other songs. Rockers was an extremely crowded bar as the metal music scene exploded throughout the country in the 80’s. Malaki was a popular local band that rocked area clubs. There has been several great local bands to break the confining chains of the tag “local band’ over the years. Bands like Byzantine, Boboflex, Chum, and American Minor found an international following. Split Nixon, led by lead vocalist Jason Mayes, who also sings for Stone Machine had a following outside of West Virginia. Suffer rocked the Tri-State area. They were on the way to great things musically when guitar player Aaron Roe tragically drowned in the Ohio River outside of The Fuzzy Duck in Ironton, Ohio on 6/1/07. An misunderstanding led to Aaron being tazered by the Ironton police and he tried to swim across The Ohio River. He was weighed down by heavy work boots and was suffering from the effects of the tazer and he drowned. The band changed their name to Triggersoul http://www.facebook.com/pages/Triggersoul/143881648986043 and released a cd of classic songs they performed as Suffer. Here is a list of some of Alligator Jackson’s favorite local songs over the years. Only one song by each band. My apologies go out to any band I may have forgotten to mention. There’s been a lot of good bands come out of The Huntington/ Charleston/ Ashland areas over the years, let us hope they are never forgotten.